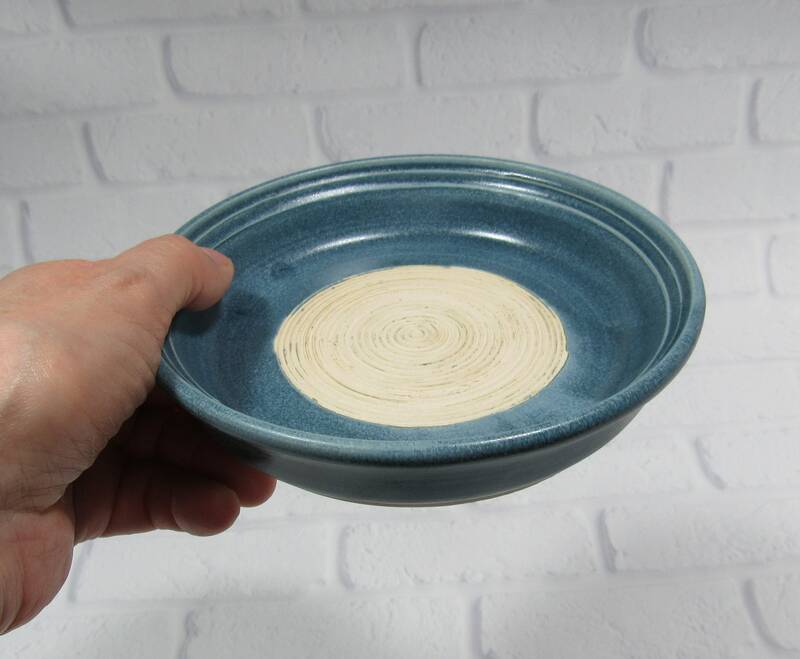 This dish is 5.5 inches in diameter and 0.75 inch deep. 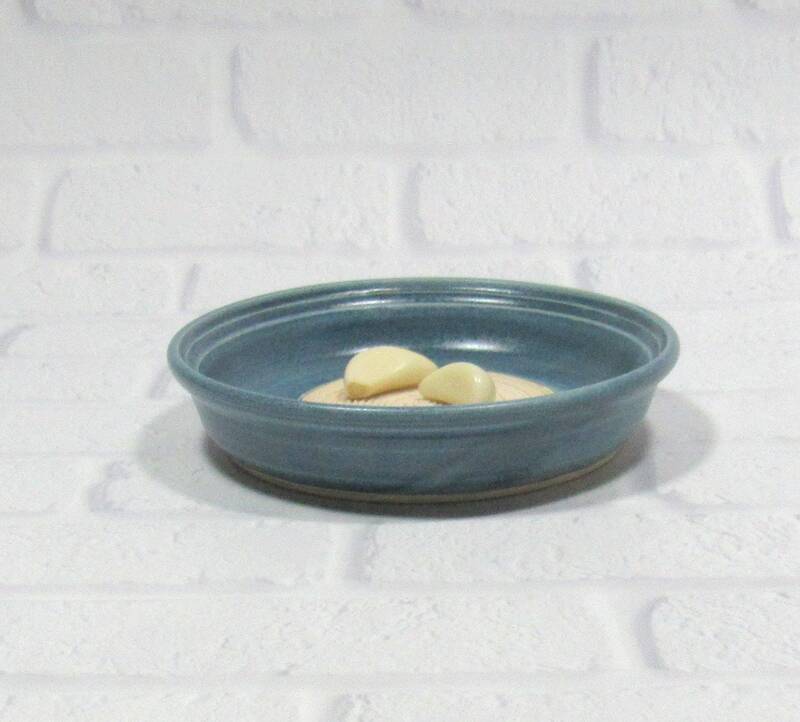 I made this small dish on the potter's wheel in my Virginia studio. 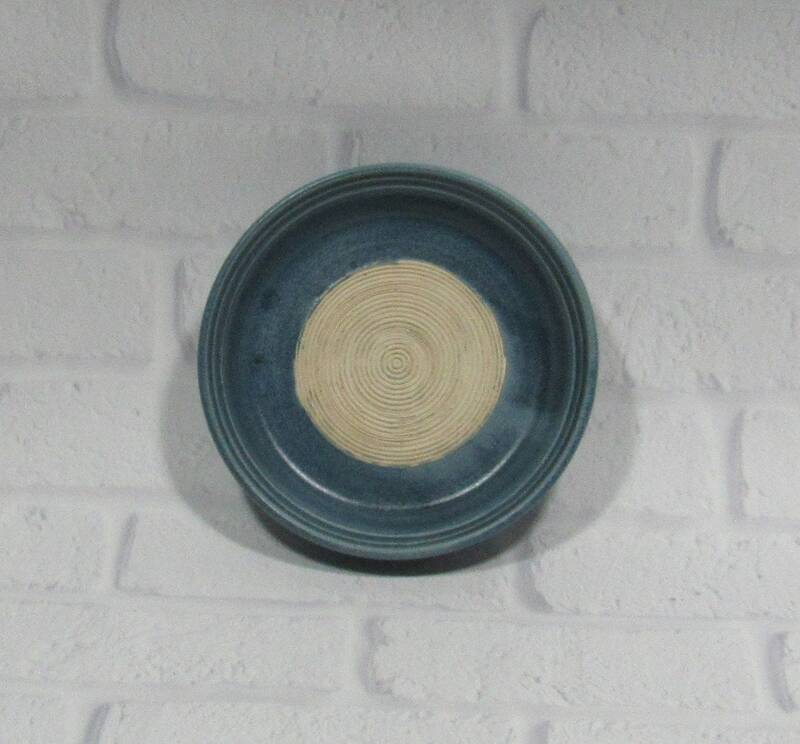 While the clay was still wet, I used a serrated metal rib to create the ridged design in the center. 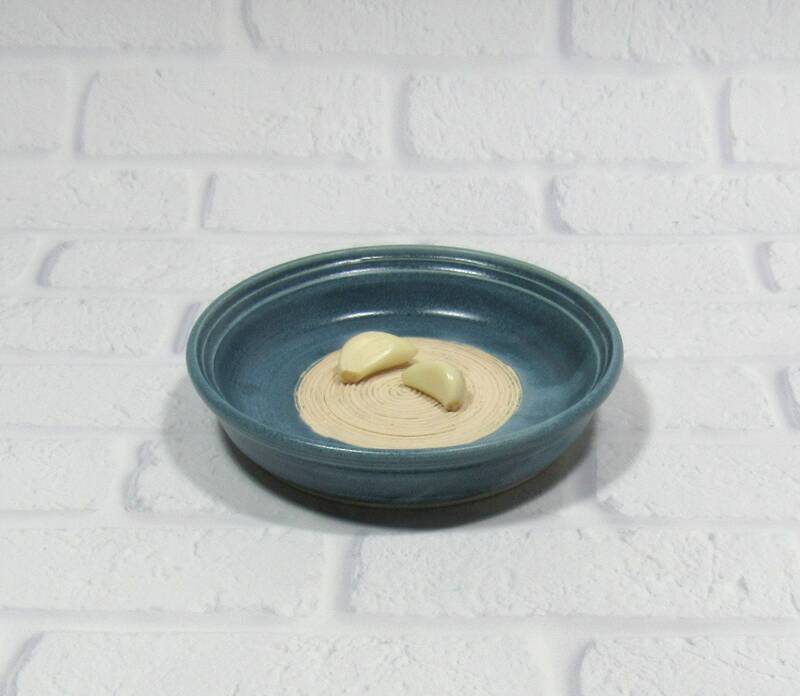 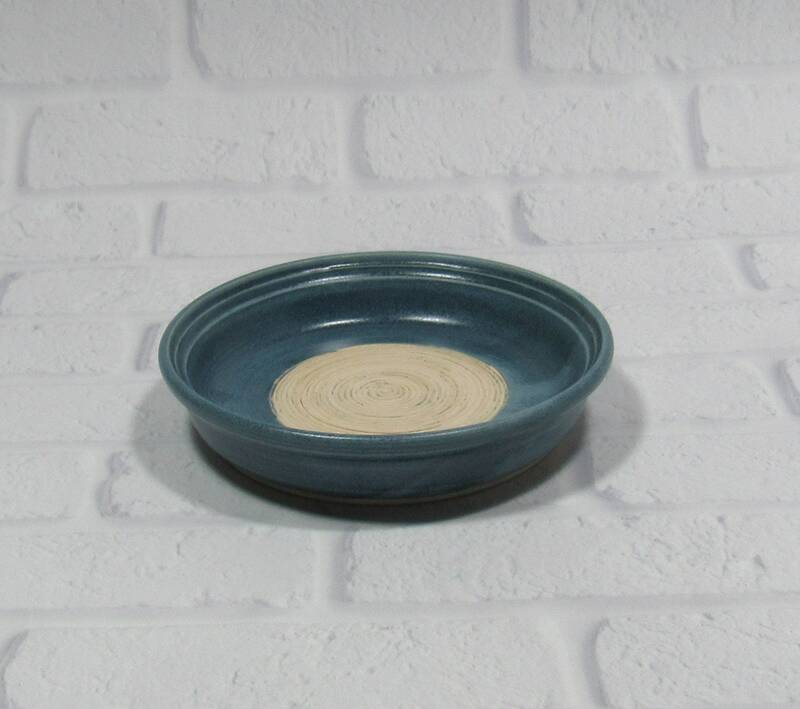 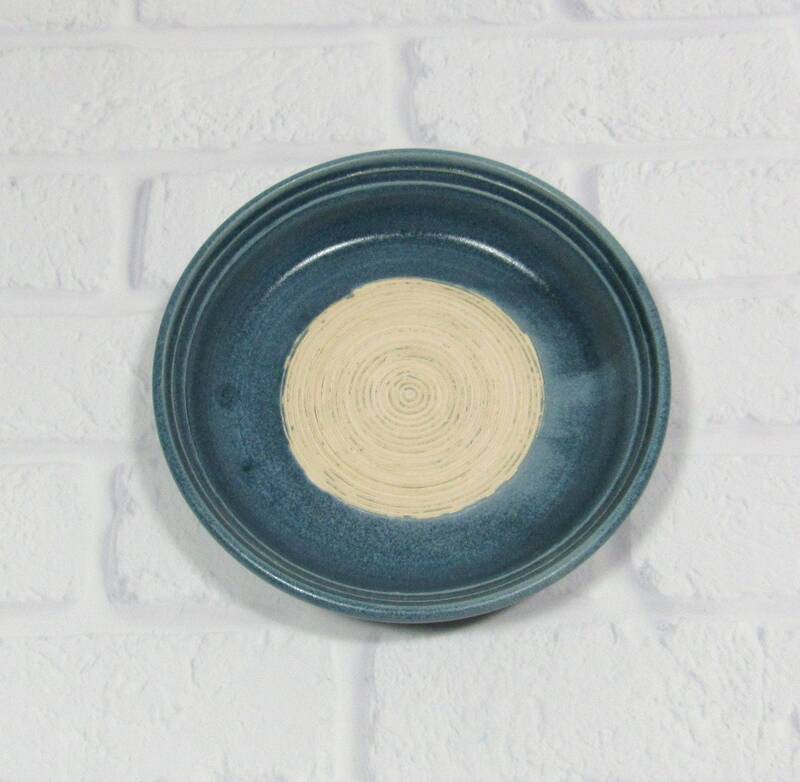 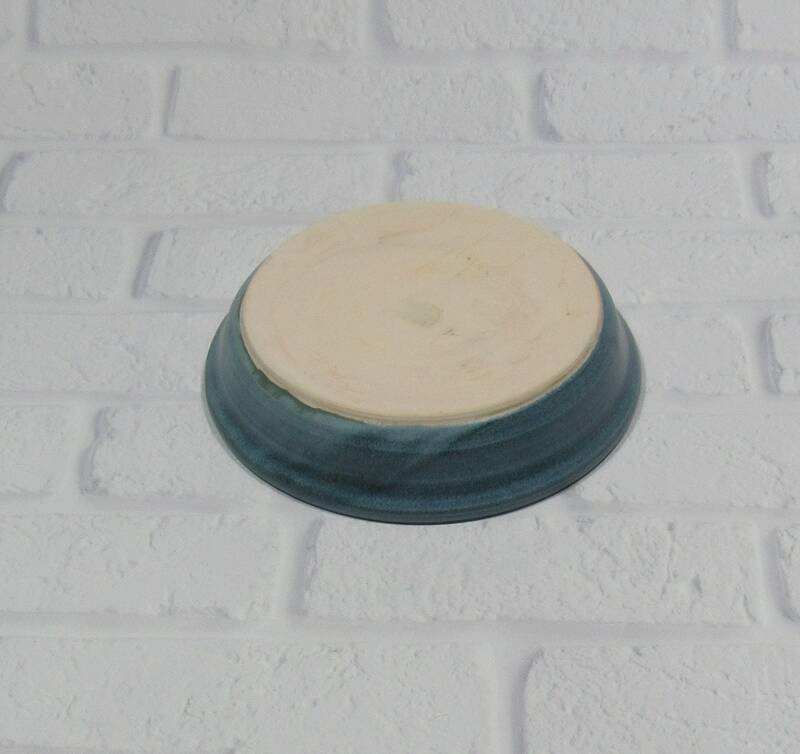 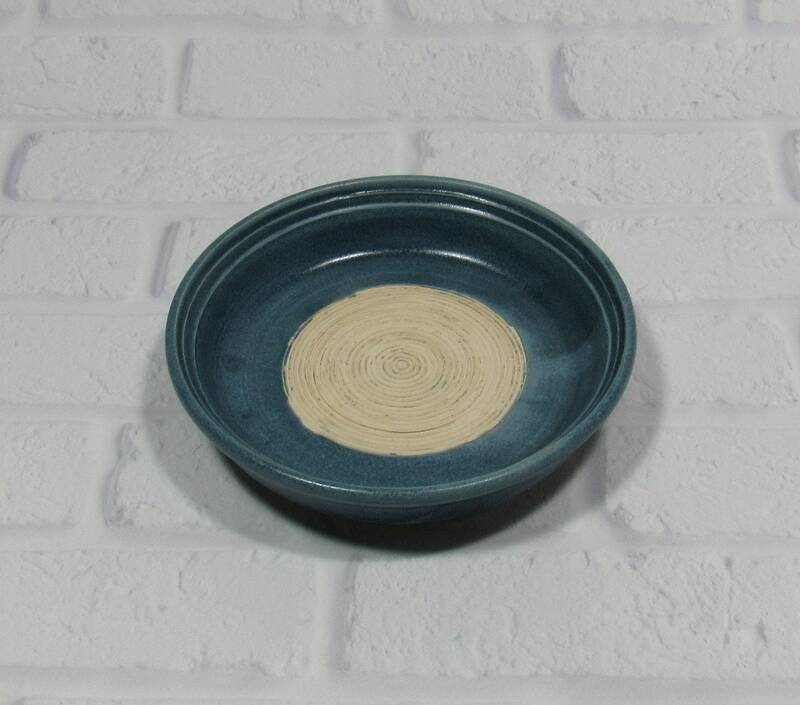 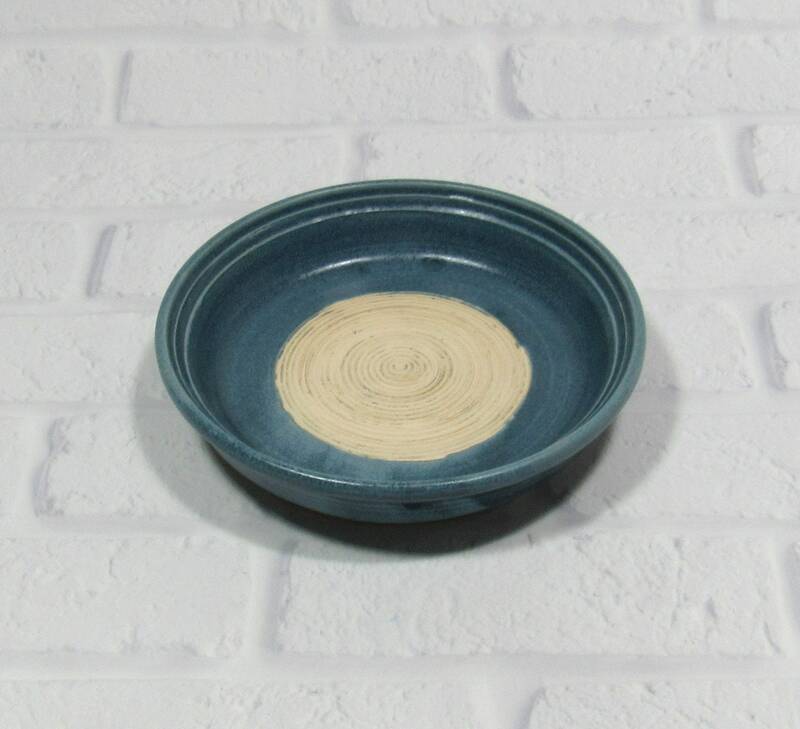 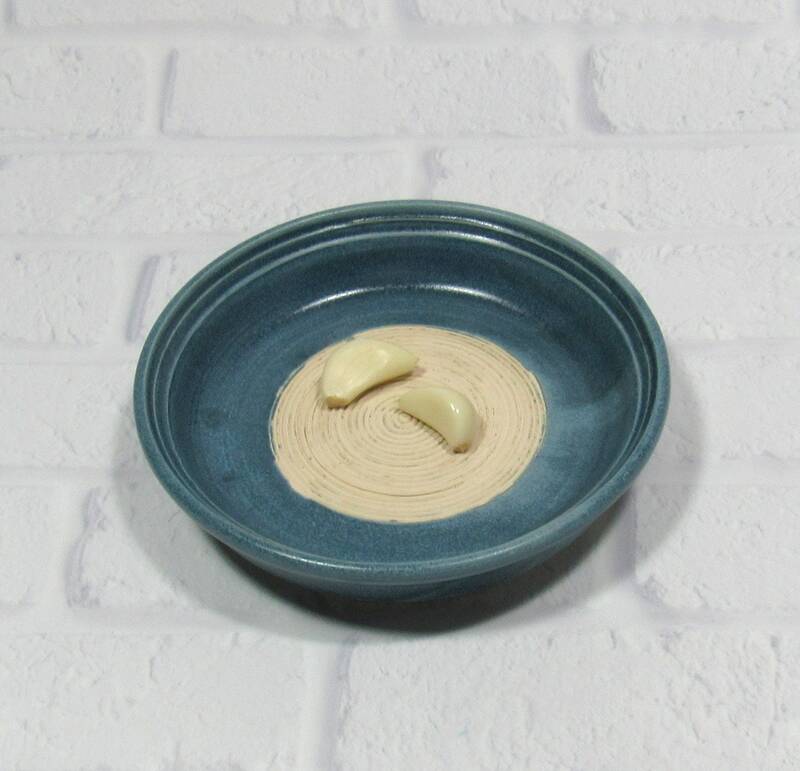 It is glazed in a slate blue glaze: a great complement to any decor!